We create extraordinary aquatic travel adventures for people who love to swim. We strive to make your vacation the best swimming experience found anywhere. Explore the clear blue waters of the British Virgin Islands, the out islands of Bahamas, Kona, Hawaii or the Ionian Sea. Enjoy delicious meals and relaxing accommodations after exercising and playing in some of the world’s best open water swimming locations. Our trips are designed for swimmers and triathletes of every ability level, fitness to elite. 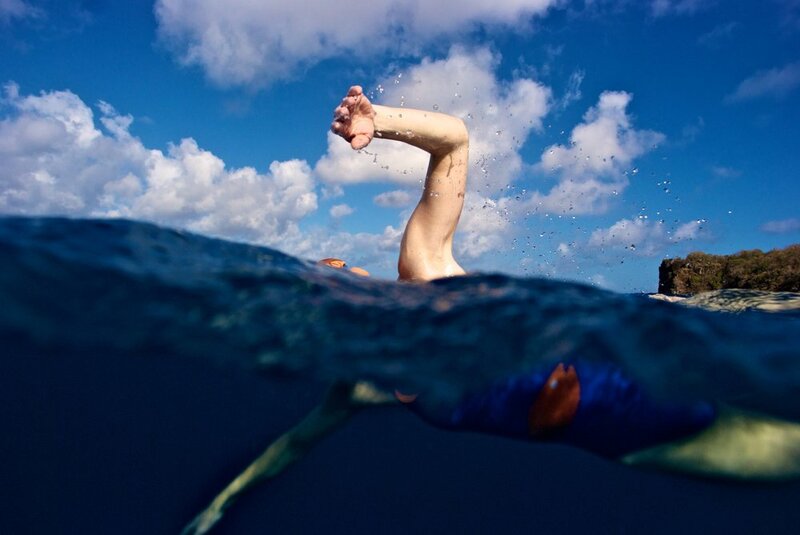 You swim your distance at your pace. Non-swimming partners, friends, and spouses of our swimming customers are very welcome and can enjoy a wide variety of activities on our trips. A SwimVacation is a great way to prepare for a triathlon or open water swimming event….or to just have a fun, active vacation. Explore our offerings and start your journey to the best vacation you’ve ever had. Hopper McDonough dreamed up the idea for SwimVacation in the 1990s, ran his first trip in 2008, and now serves as President of the company. Hopper, a former Division I collegiate swimmer, began competing in open water events in 1989, and has racked up several pool and open water course records in his career. 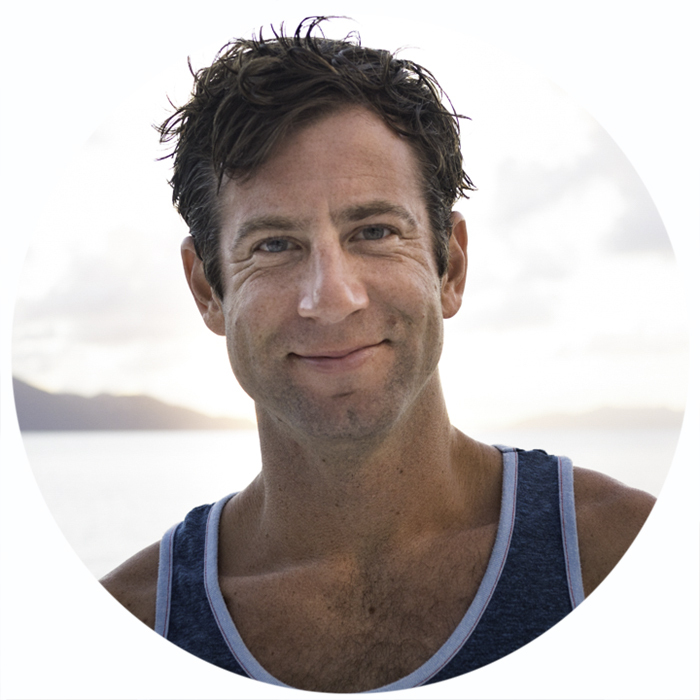 He has been featured in The New York Times, Triathlete Magazine, and in Outside Magazine for his 23-mile swimming adventure through the British Virgin Islands, which inspired SwimVacation. Hopper continues to find new adventures for his guests in Hawaii, the Virgin Islands and beyond. Heather Perry has been swimming and diving in the Virgin Islands since 1996. 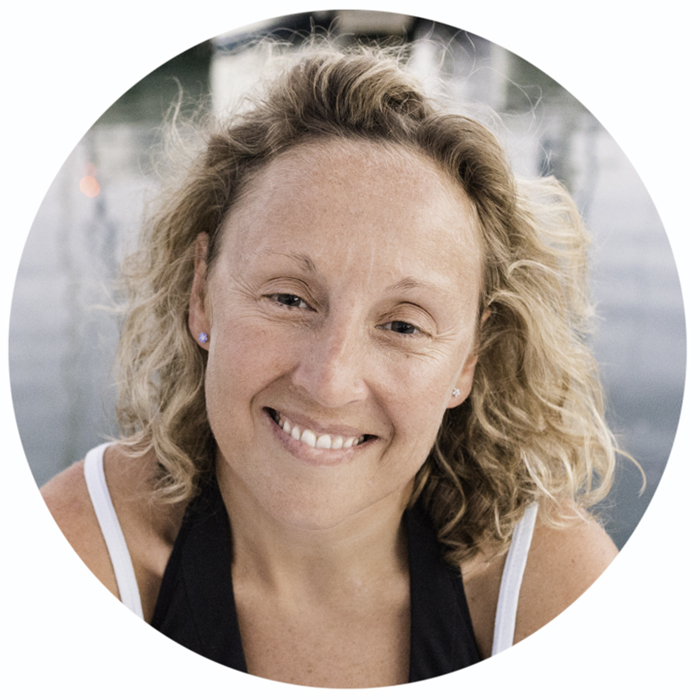 She is a SwimVacation guide, photographer and marine naturalist. Heather is a former collegiate swimmer and currently competes in open water swimming races in New England. She serves as SwimVacation's go-to guide, photographer, and new location scout. She is also a professional freelance photographer specializing in underwater work. You can see more of Heather’s work at www.heatherperryphoto.com. David Barra has focused on marathon distance events for the past few years, completing 7 marathons in 2010 (Maui Channel, Tampa Bay, MIMS, Catalina Channel, Boston Light, English Channel, and Ederle). In 2011, he and Rondi Davies co-directed and swam the 120 mile 8 Bridges Hudson River Swim, which led their founding of New York Open Water. David spent many years as a participating coach for Total Immersion in Eleuthera, Kona, and St John. He lives in New York’s Mid-Hudson Valley and trains with the Shawangunk Masters at SUNY New Paltz, and with friends at Lake Minnewaska, the Hudson River, and CIBBOWS (Coney Island Open Water Swimmers). Simon Wignall is a native of Montreal, Canada. He relocated to Maine in 2005 and currently lives in Falmouth, with his wife, 2 sons and their funny dog, named Sully. He is the business manager at Southern Maine Pediatric Dentistry and enjoys most outdoor activities. Between the ages of 11 and 37, Simon spent only 4 years away from a pool deck. He has coached age group swimmers and served as the Head swimming coach for John Abbott College. Simon is an active member of Maine Masters swimming, and enjoys training in the ocean as well as in Maine’s lakes and rivers. He has raced in Hudson River (NYC), the Chesapeake Bay (MD), and most of Maine’s open water races. John Stevens is too busy to send us a bio for himself so we will tell you about him ourselves. He’s a stay at home dad who spent some time guiding runners around his home town of Portland, Maine, and is now actively involved in SwimRun USA. He’s a great swimmer and all around nice guy who will help you make your stroke more efficient. After his expert guest guiding in 2018, we are excited to add him to our official guide roster. Will Thomas has been a swim, triathlon, track, and cross-country coach, a teacher, and a marketing account executive, as well as helped launch a retail enterprise in 2003. An avid triathlete, he has competed in over 60 multisport events, including Ironman Lake Placid in 2005, and typically places near the top of the field. In the off-season, Will enjoys telemark skiing and launching new companies. He splits whatever time he has leftover between surfing, cycling, drinking coffee, debating politics, reading the news, and traveling. Alina Perez discovered her love of open water swimming on the rocky Maine coast. Placing in the top of her age group nationally she has competed in open water races all across the country including Alcatraz Sharkfest, the Great Chesapeake Bay Bridge Swim and recently as the top female in the St. Croix 2- Mile Coral Reef Swim. A sprinter by nature, she is an avid Masters swimmer having dozens of Top Ten USMS times, several All-American Relays and a FINA World Top Ten time in 2010. In the summer she likes to rally friends to try new adventure swims, especially at night. She lives in Maine with her three children and is a practicing clinical child psychologist and high school swim coach. Tim Fitzpatrick has been competing in open water swimming events since one of the first Great Chesapeake Bay Bridge swim races in 1990. Tim has successfully continued competing in open water swimming events over the years in the Mid-Atlantic area. Tim competed in the 2006 Friends of St. John Island Swim and finished 3rd in a field of 200 swimmers. Tim is a former Division I college swimmer and water polo player and continues to assist triathletes and competitive swimmers on technique and endurance training. Ryan McGuckin is resident lifeguard for our Kona, Hawaii trip. A native of Kona, Ryan spent much of his childhood playing in the Pacific’s waves, and is still a standout body boarder in the islands. Ryan knows every surf break, calm bay, reef, and lava rock on the Kona coast. When he’s not on SwimVacation duty, Ryan is a professional lifeguard for the City of Kona. He lives with his wife and daughter on the Big Island of Hawaii. Maury McKinney is a Masters Swimming coach and open water swimming enthusiast who lives in North Conway, NH. Also a mountain man, he has climbed mountains small and large around the US, Pakistan, Nepal, Ecuador, Peru, and South Africa. Maury recently completed a 42-mile, 26-hour double crossing of Lake Winnipesaukee to raise money to build an aquatic facility in his hometown.